YUMAB was founded by four outstanding scientist form University of Braunschweig, Germany in 2012. 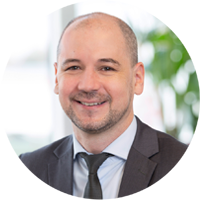 Particularly, Stefan Dübel has been dedicated almost 30 years of his career for development of fully human antibodies. He made breakthrough inventions in antibody phage display and was one of the drivers of recombinant antibody technologies. Thomas Schirrmann received his PhD in immunology about adoptive cellular immune therapy with chimeric antigen receptor (CAR) Natural Killer (NK) cells from the Humbold and worked as scientist and group leader in research institutions such as Max-Delbrueck-Center of Molecular Medicine (MDC), Charité Hospital in Berlin and University Braunschweig. In over 20 years of his research he gained a broad interdisciplinary expertise in recombinant antibody technologies, protein engineering and expression, bi- and multispecific antibodies, fusion proteins, gene-modified immune cells and immunotherapies. Thomas is author of more than 70 research articles and inventor of several patents. With three of his co-workers he founded YUMAB, where he acts as CEO and develops it into a fast-growing biotech company. He received several local and regional prices for his outstanding work in translating science into commercialization. André Frenzel studied biology at Johannes Gutenberg University Mainz and received his PhD from the Leibniz Universität in Hannover. In 12 years in the antibody field, André published more than 30 articles (including book chapters and reviews) on discovery and development of human antibodies and antibody phage display. He works on the development of human and human-like antibodies for diagnostics and therapy with a focus on cancer and so-called difficult targets. In 2009 he joined the working group of Prof. Dübel at University Braunschweig. André is co-founder of YUMAB and acts as CSO for the company. Philipp Kuhn received his MSc. from University Heidelberg, where he worked on the thesis at the National Center for Tumor Diseases (NCT) and German Cancer Research Center (DKFZ). 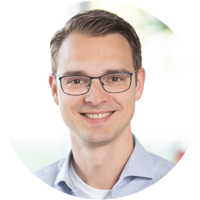 For his PhD he joined Prof. Dübels working group at University Braunschweig. Philipp worked in the field of Antibody discovery, engineering and characterization for six years so far. In 2016 he started his work at YUMAB as Project Manager of the Platform Technologies Unit. In his position he is responsible for managing client projects in Antibody discovery. Jonas Kügler studied Biotechnology at the University of Braunschweig. In his Master thesis he worked on antigen phage display under the supervision of Prof. Dübel. Jonas received his PhD from the Hemholtz Center of Infection Diseases. For his PostDoc he went back to University Braunschweig and worked on recombinant antibody technologies in the department of Biotechnology. 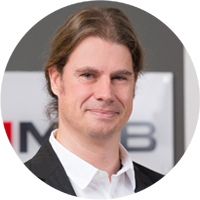 After several years as research scientist at mAb-Factory, he joined YUMAB in 2016 as Project Manager of the Research and Technology Unit. Linda Kirchner holds a MSc. in Biotechnology in which she developed and screened a mimetic Antibody phage library. 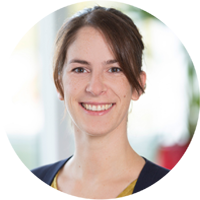 She worked on her binational PhD at the Northeastern University Boston in cooperation with the Leibniz University Hanover. Linda strengthened her skills in business and finances at another company, before she joined YUMAB at the beginning of 2017. Linda is responsible for Business Development and Finances. 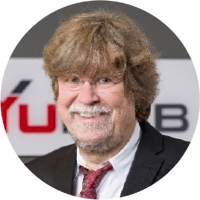 Dr. Stefan Dübel received his Ph.D. from the University of Heidelberg, in 1989 he joined the German Cancer Research Center (DKFZ) where he co-pioneered in vitro antibody selection technologies, resulting in several key inventions including antibody phage display (e.g. US Patent 5849500), human antibody libraries (e.g. US6319690) and antibody libraries with randomized CDRs (e.g. US Patent 5840479). His lab continued to contribute to multiple topics related to human antibody engineering, phage display and in vitro evolution, e.g. Hyperphage technology (2001), ORFeome display (2006), and targeted RNases for cancer therapy (1995/2008). Other achievements include the developed the world’s first protein knock down mouse using intrabodies (2014), and a universal allosteric switch module for antibody affinity (2017). His work on antibodies resulted in >200 publications and >25 patent applications. 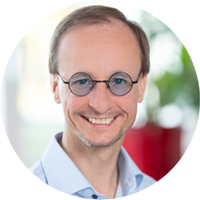 Since 2002, Stefan is full Professor of Biotechnology and Director of the respective department at the University Braunschweig (http://www.bbt.tu-bs.de/Biotech). He further serves as director of the technology transfer unit “Centre for Molecular Engineering” of iTUBSmbH and as consultant to biotech / pharma companies and US/EU government institutions. He initiated the “Antibody factory” of the German National Gemome Research Network and is editor of the four volume “Handbook of Therapeutic Antibodies” and other antibody engineering books. He is co-founder of several biotech companies, i. a. of YUMAB, where he acts as scientific advisor. 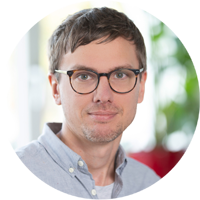 Michael Hust studied Biology at Carl-von-Ossietzky University of Oldenburg and received his PhD at Leibniz University Hanover in the field of recombinant antibodies. Since 2002, Michael is group leader in the institute of Biotechnology at University Braunschweig headed by Prof. Dübel and habilitated here in 2011. In total his work resulted in >130 publications and three companies, i. a. YUMAB, where he still acts as scientific advisor.